In the midst of loose flower fields, unexpectedly a glaring glazed green vase with four handles is raised by a base, creating the typical quaint atmosphere of Provence. 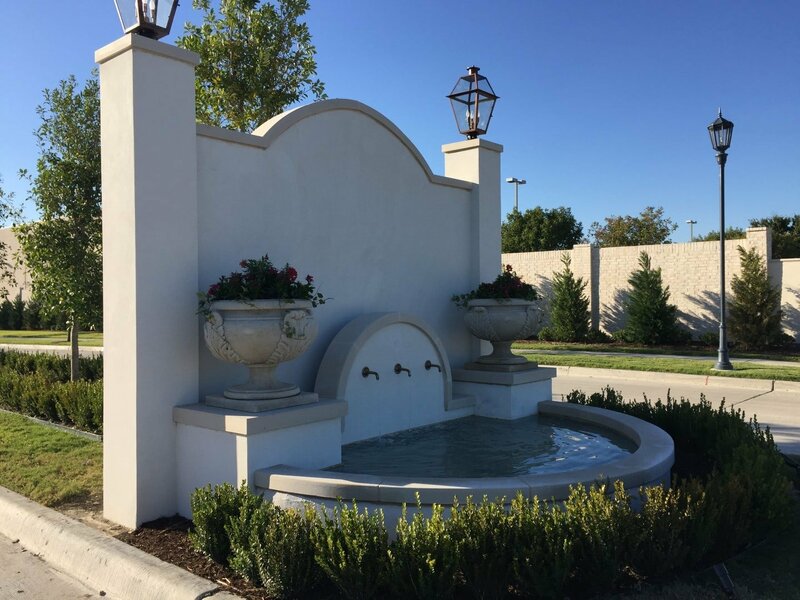 A trough with Venetian décor carved by hand in Limestone with a beautiful backslash and detailed tile work. 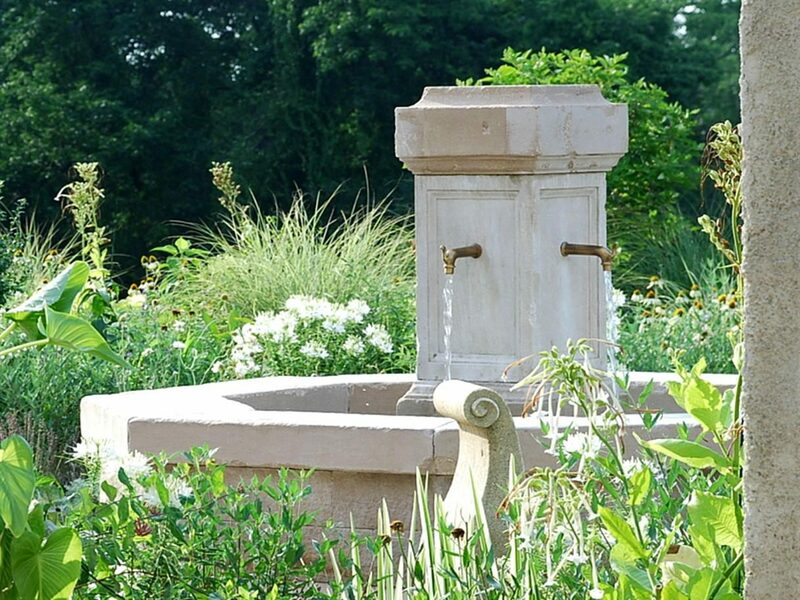 The antique Italian wellhead in a shallow limestone basin is used as a centerpiece. Raisers of the brick stone steps are adorned by antique Italian hand painted tiles, as also used in a small arch behind Lead cherubs. 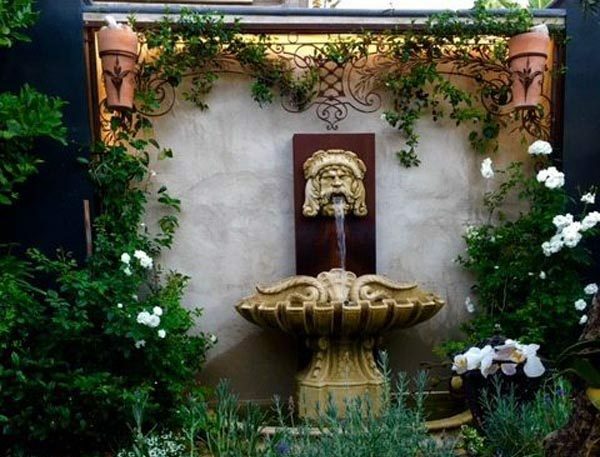 A antique French monster, water feature is spitting water in a tile basin. In a walk way you are surprised with Neptune holding two horns raised on a base in front of a tile back splash. 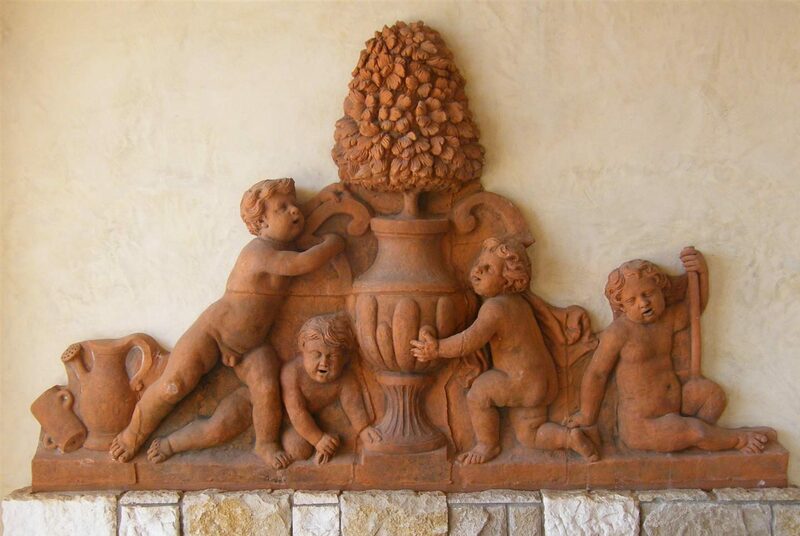 A 6’ beautiful putti wall relief adorn a simple exterior wall. 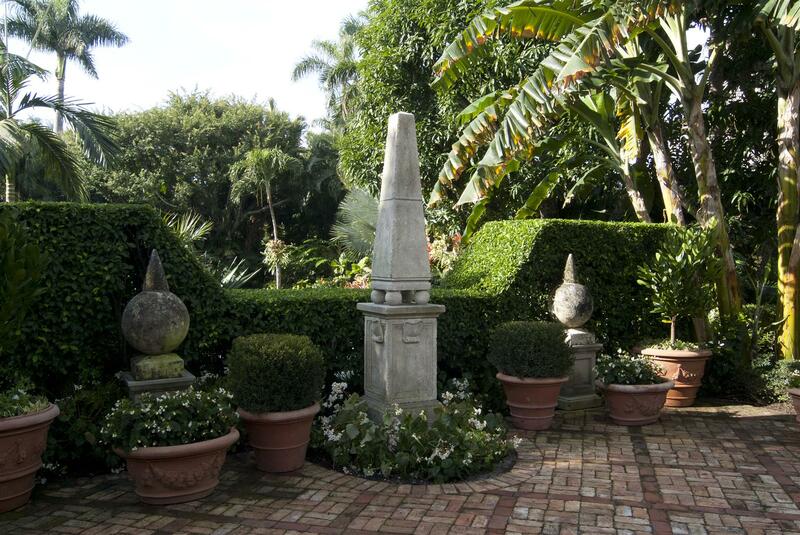 Recreated a historical garden of an old Palm Beach residence to a refined updated landmark estate. A historical Dutch Colonial house date 1925 with a narrow lot size. 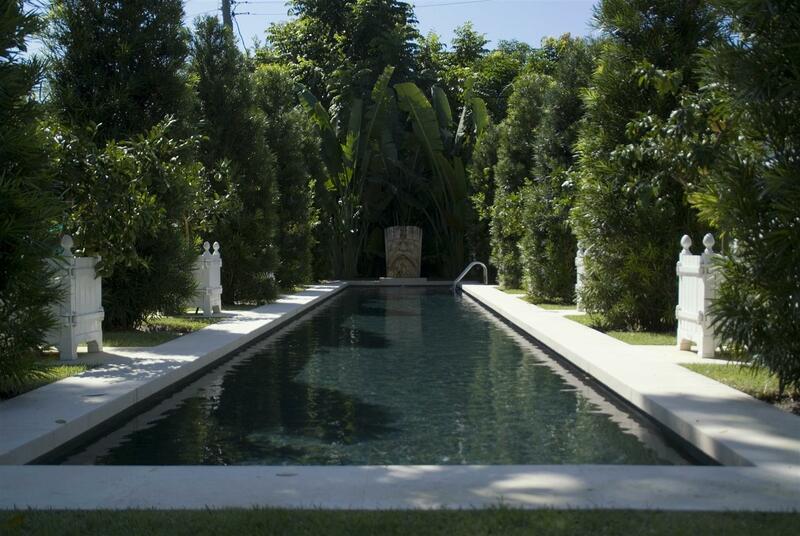 Long lap pool with French limestone borders, aligned small Caisse de Versailles 29.5” tall in white and trimmed Podocarpus were used to create an alley. At the end of the pool an antique water feature. 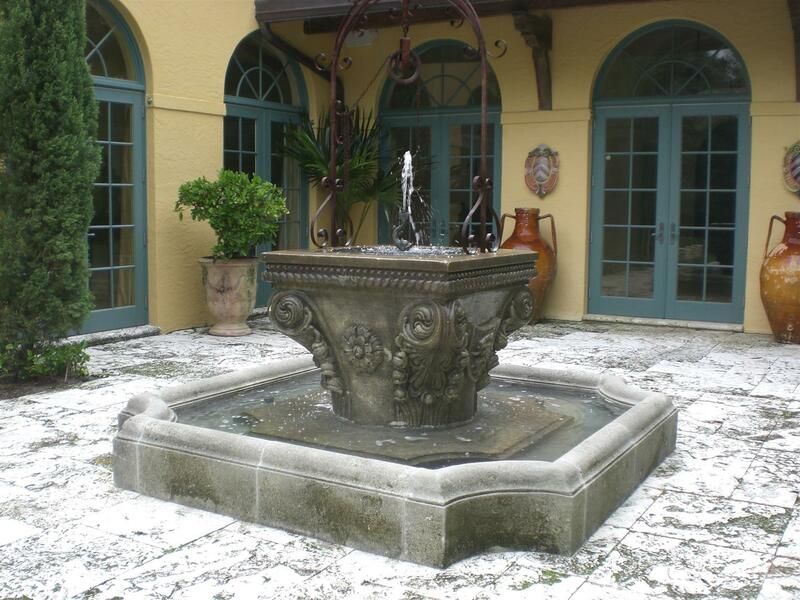 Faux – bois outdoor furniture from France and a lead fountain from England. Created the new look for the Club House including the entrance area, hallways, restaurant, locker rooms and exterior terraces. 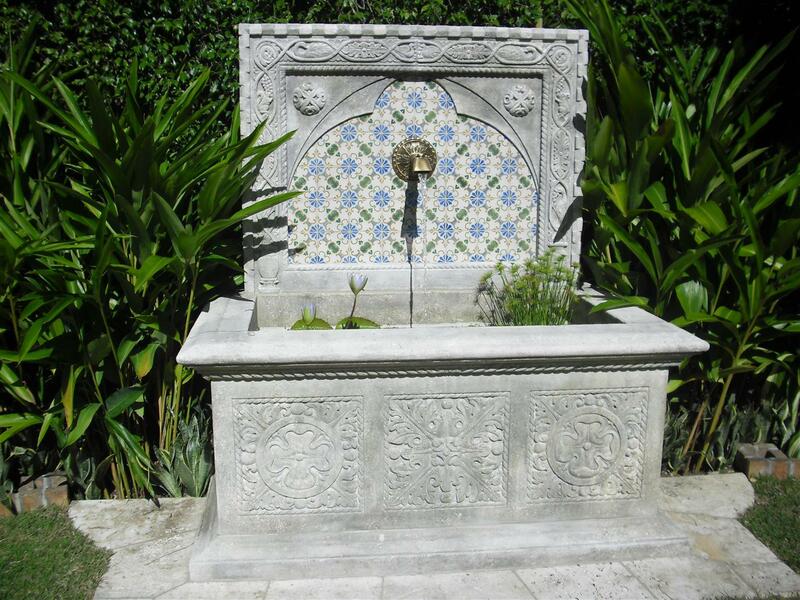 Antique limestone wall fountain composed of a mask and water basin. 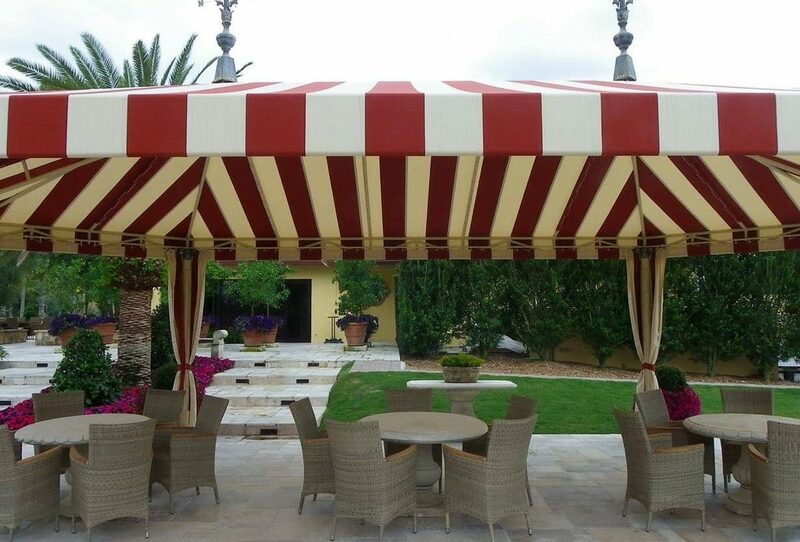 It was installed as a focal point in the courtyard of a large San Diego Estate. Above the wall fountain a large entrance gate from the 18th Century was installed. This wrought iron entrance gate was found in Loire Valley, France. 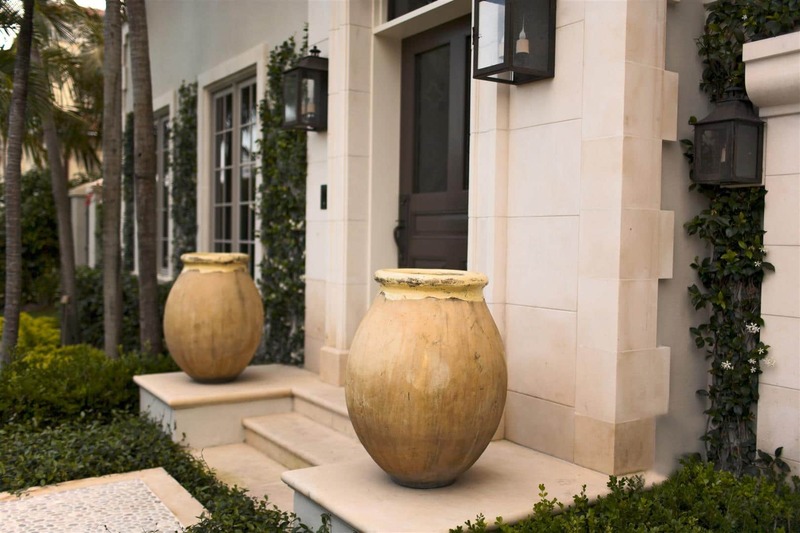 This large exclusive gated community contracted us to execute the design of oversized handcarved limestone urns, statues and fountains for the shared landscape spaces.